I finally bought my first ever Glossybox! 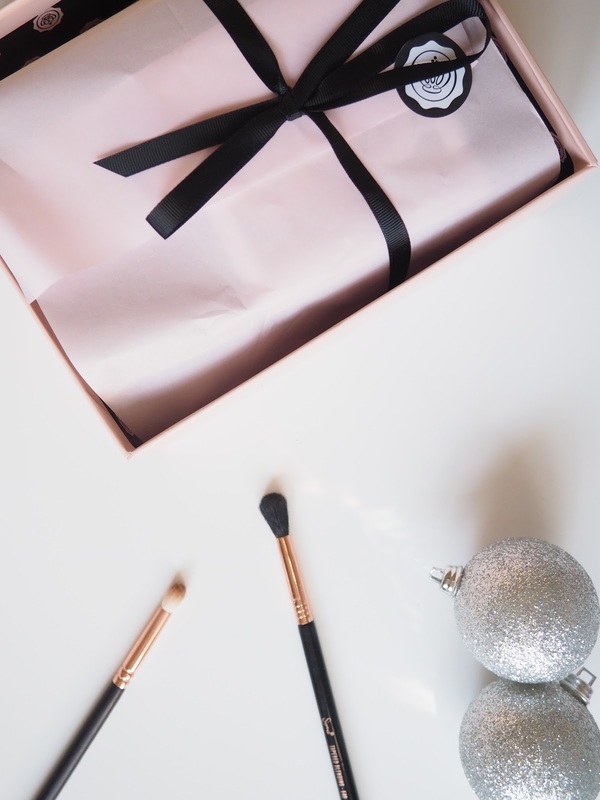 I admit that I was totally convinced by Lucy and also the a m a z i n g Black Friday offer that I just couldn't pass up - 50% off of your first Glossybox! The package arrived at my desk on a pretty boring Tuesday afternoon and I was super excited to see what was inside. Before I reveal the contents, can we just appreciate how gorgeous the packaging is!? A baby pink and black box is always a winner in my opinion! I think these two colours go so well together and look very sophisticated. 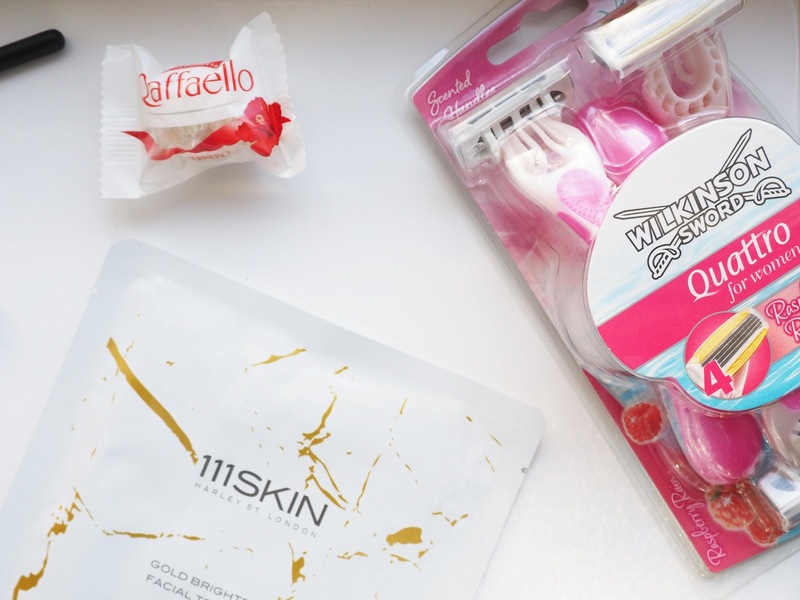 I think the last time I used a facial mask was probably when I was about 12 years old to be honest, I'm just super lazy (and not a typical girly girl if I'm honest when it comes to pampering!) and can never been bothered to apply a face mask, even although they require zero effort. 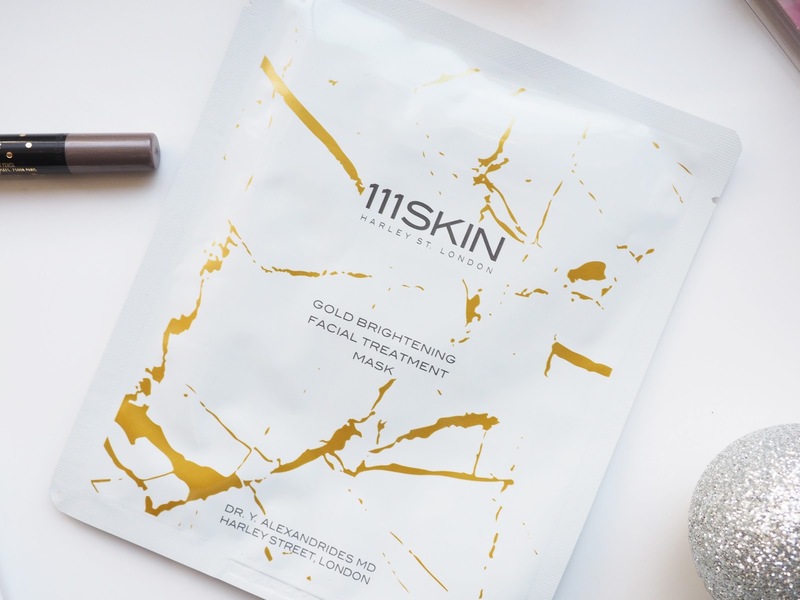 This facial mask looks and sounds pretty luxurious, so I can't wait to try this and see how I get on with it! 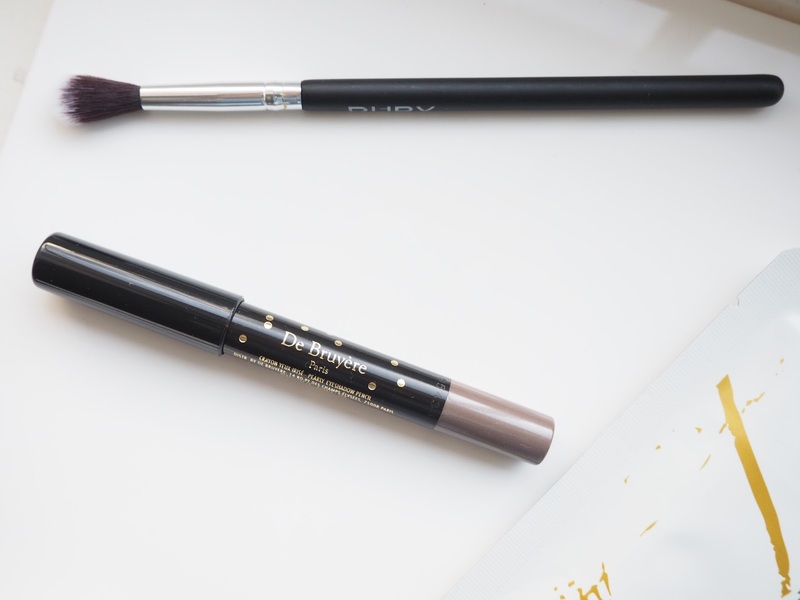 One thing you can never have too many of are blending brushes! So I was super happy to receive this Ruby Professional blending brush in my first Glossybox. I've never heard of Ruby Professional before, so I'm excited to see how nice and easy this brush is to use. I don't use eyeshadow pencil's but I've always been intrigued by the idea, just because they look so quick and easy and I am all about that life! The shade looks right up my street as well, so I'm also excited to give this one a go. I'm not that girl who wears false lashes, just because I struggle with applying them and get frustrated with myself! 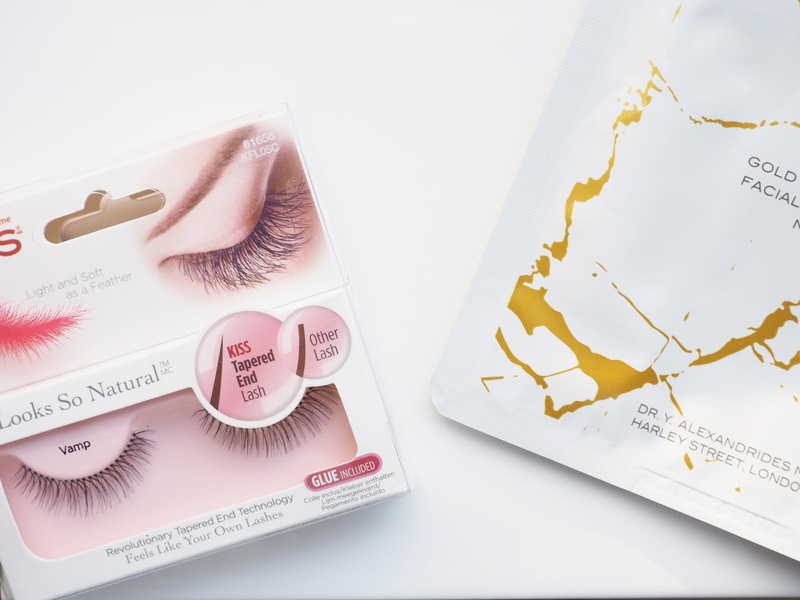 When I do wear falsies though I definitely prefer a more natural lash (otherwise my eyes literally disappear..), so receiving these was perfect! Another item us girls can never have enough off is razors! I obviously love the colour of them because they're pink and raspberry scented handles? Yes please! 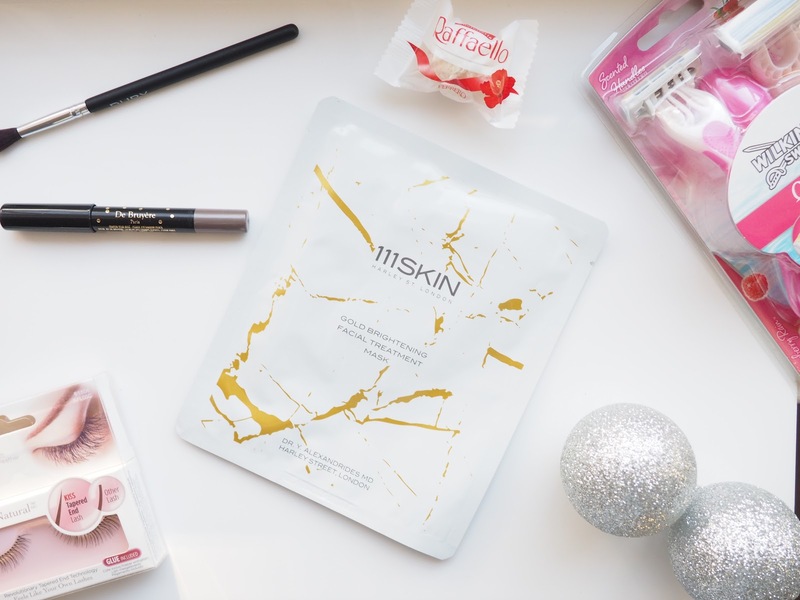 It's always great to receive a necessity in a beauty box. I also received a Rafaello in my box and you can never go wrong with a little chocolate-y treat can you! 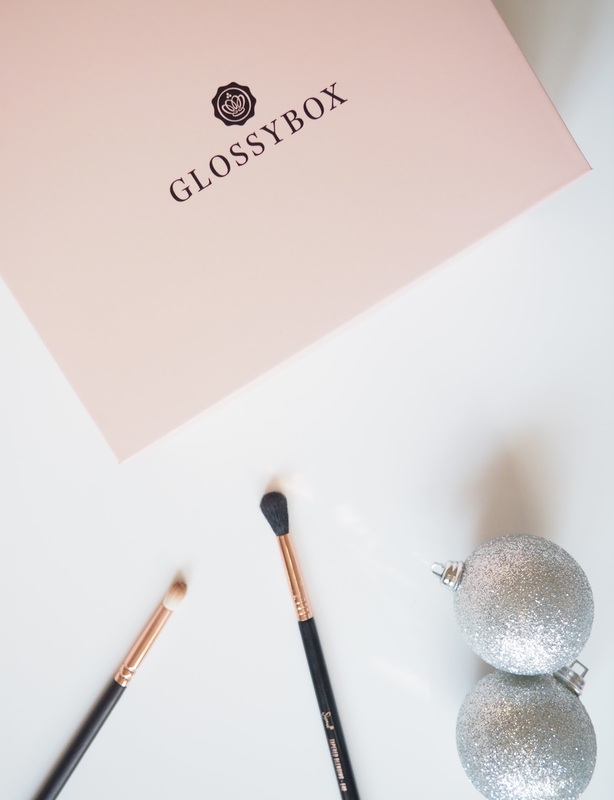 My first ever Glossybox gets a big thumbs up from me and I will definitely be re-purchasing. It's such good value for money and I always love receiving a box full of goodies, especially when it's a surprise as to what's inside! I would 100% recommend at least a one month's subscription box from Glossybox, as you certainly won't be disappointed.